This week's game comes from the old Denny's tournaments. Back in July of 2007, the Colorado Springs Chess Club tested out the idea of offering more chess. Rather than just one night per week and one location, we created a new night at a new location. It was an immediate success. Players who were not coming to the traditional Tuesday night events started coming to events on other nights. However, the club only has limited resources. So, part of the formula for making the extra nights work was to find locations that would let chess players take over their establishment for free. What we lacked was a quality organizer who could build a good relationship with a favorable location. Finally, we landed a nationally known chess tournament director from Ohio, Earle Wikle, and he found a place that was a steal: Denny's! The Denny's events started in September of 2015 and ran until December of 2016. We held 32 events at their location and all was right with the chess world. However, all good things end. Appearently, someone tripped over an extention cord and went into a rant like Donald Duck turning red and spraying spittle and feathers all over the place. Well, this soured the management on chess players in general, and Earle, despite his extraordinary diplomatic skills, could not get back in their good graces. Denny's asked us to leave. Beware the wrath of Earle! Anyone who has ventured into the world of chess tournament organizing knows how lucrative it can be. Well, Earle was not going to let his cash cow die without a fight. He penned a nastly letter to Denny's Corporate office, posting it to many social media outlets, letting them know about the billions of dollars he was generating. 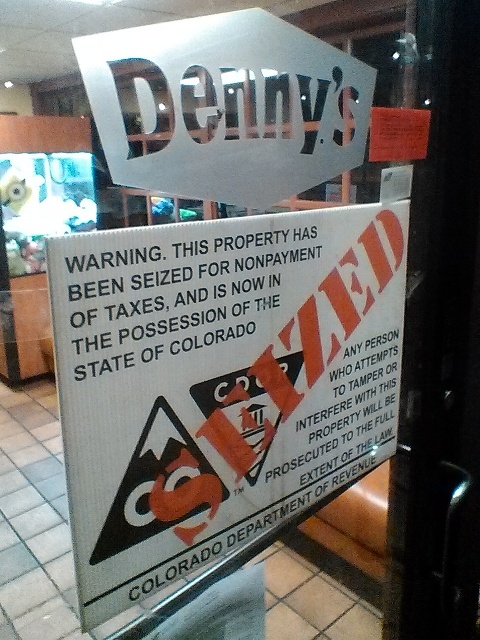 Soon the Colorado Department of Revenue got wind of Denny's backroom games of chance, with its enormous prizes and never ending pots of coffee. They were none too pleased that many of the cash awards were not signed for and not reported on the chess players taxes. 15. Bd3 Nb7 16. Be4 Rb8 17. Bd3 Nexd6 18. Qa4 Ra8 19. Ba6 Qe7 20. Qb4 Nf5 21. Nxf3+ 28. Bxf3 Rad8 29. g4 Nh4 30. Bh1 e5 31. Bg3 f5 32. f4 e4 33. g5 h6 34. 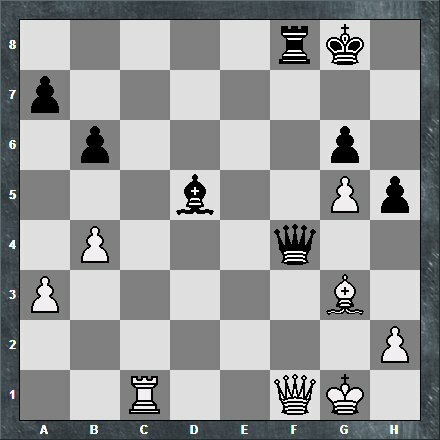 On May 30th, the Colorado Springs Chess Club finished the May Swiss 90 (5SS, G/90+30).